The rules on payment of staff tips and gratuities used to be one of those ‘one rule in practice, one rule in reality’ types of situations. For many years, less than scrupulous restaurant bosses were able to use the tips their customers gave to their staff in whatever way they saw fit, rather than handing them over to the people that earned them. A customer usually gives a tip to a waiter or waitress that they feel has done a particularly good job – somehow added to the enjoyment of their dining experience with their extra attentive service. 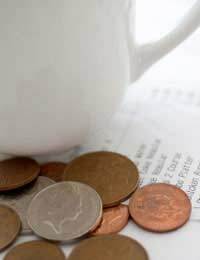 Customers that want to leave a tip may either leave a £5 note or some pound coins on the table as they leave, or add in some extra when paying on a credit or debit card. Some people even insist on perpetuating that rather dated behaviour of slipping a fiver into the hand of their waitress as they leave. Mind you, it if it dealing with a little cringeworthy behaviour or not getting any tip, most waiting staff would swallow it. How ever they choose to leave the additional money, most customers think that the tip will either go directly to their actual member of hospitality staff, or they will at least get a cut of it at the end of the night. The problem has come where waiting staff do not get hardly any of the tips or it is used to make up their wages. Since the introduction of the minimum wage, currently standing at £6.08/hour for workers of over 21 years old, the issue of payment of tips and gratuities to hospitality staff has been a rather thorny one, especially where sneaky restaurant owners are concerned. There are very few other industries where customers pay extra money for what they have paid for – even with tips to taxi drivers there is no confusion as to who is getting the money – so it is not surprising that that has been some people taking advantage of the confusion. It was becoming increasingly common that restaurant owners were putting all of the night’s tips and gratuities into one pot and then dividing the money equally between all staff – regardless of whether they had served that particular customer. In some ways this was considered fairer – after all the chef, sous chefs and pot washers are as much of the restaurant hospitality team as the waiters and waitresses. The issues arose when the tips where being used to make up the hourly minimum wage and when particularly skilled waiting staff were seeing their hard earned tips shared out between less committed staff. What to Do in Your Restaurant? So, how should you deal with this in your own restaurant? Firstly, since July 2008 Government Business Secretary John Hutton has agreed to change the law regarding allowing restaurant owners to use tips as part payment instead of on top of the minimum wage. You will soon be in breach of the law if you do this, not to mention not being in the spirit of the law. The best way to get your waiting staff on side – and good ones are very hard to find – it to ask them how they want to handle their own tips. They may say that they want to just keep their own tips – this can be a great motivator which ultimately boosts your restaurant. They may prefer to pool their tips and then split them between all staff that are dealing with food. Whatever they are happy with, as long as tips are paid on top of the hourly minimum wage, agree to and stick with it. I know this is an old thread but there's not much guidance for this in the uk. In the US it is illegal for bosses to be skimming from the tips but not here? All our tips go into the till and get added up at the end of the month and shared out by the boss/owner. He takes a large percentage of it, salaried employees take another large cut and the chefs are given a large fixed amount. There is very little left for the actual waiters/waitresses; last month I worked 150+ hours and got £50 in tips for the whole month. I don't think it's illegal just immoral but is there nothing else I can do? And does this happen in many places?